Decades of war started by a genocidal faction of aliens threatens the existence of any human or alien resisting their rule on Earth. Dani survives by scavenging enough supplies to live another day while avoiding the local military and human-hunting Wardens. 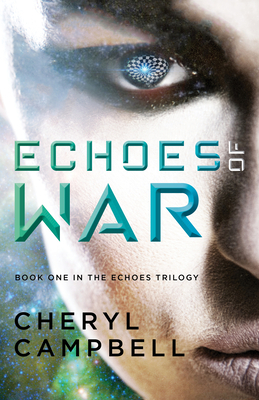 But then she learns that she is part of the nearly immortal alien race of Echoes--not the human she's always thought herself to be--and suddenly nothing in her life seems certain. Following her discovery of her alien roots, Dani risks her well-being to save a boy from becoming a slave--a move that only serves to make her already-tenuous existence on the fringes of society in Maine even more unstable, and which forces her to revisit events and people from past lives she can't remember. Dani believes the only way to defeat the Wardens and end their dominance is to unite the Commonwealth's military and civilians, and she becomes resolved to play her part in this battle. Her attempts to change the bleak future facing the humans and Echoes living on Earth suffering under the Wardens will lead her to clash with a tyrant determined to kill her and all humankind--a confrontation that even her near-immortal heritage may not be able to help her survive.